We're planning to return to Seattle, WA in 2020! You've got plenty of time to start tapping your travel and training budgets to make plans for the only gathering of model makers in the world! 2018 - Grand Rapids, MI "Prototyping the Future"
It was in 1999 that we were last in Grand Rapids so everyone was eager to revisit one of our favorite locations. We gathered from March 16-19, 2018 to explore the many ways that model making has changed and the industry has grown in the past 19 years. 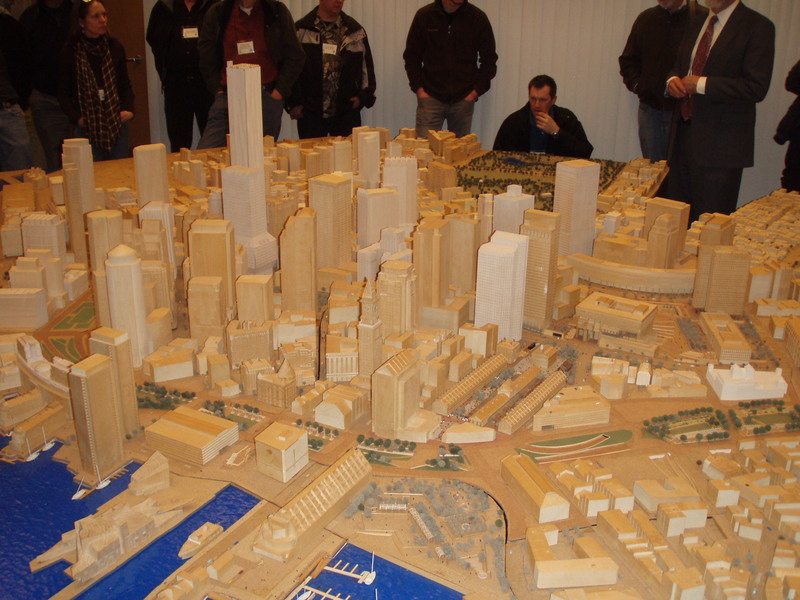 Model making continues to be on the leading edge of innovation! Technical workshops included: History of patternmaking, improving through-put, crafting a great portfolio, molding and casting essentials, yoga for model makers, crowdfunding your projects, additive metal technology, model making in India, and exploration of materials for Rapid Prototyping, 3D printing, metals in models, digital marketing, arduino and microcontroller basics, and leveraging the APMM for your success. Tours visited Steelcase, Herman Miller, Amway, Yanfeng Automotive Interiors, World Class Prototypes, Meyer May House, Gerald R Ford Museum, Kendall College of Art and Design, and Tiara Yachts. Our Keynote Speaker was Markus McKenna, Global Design Director at Steelcase, who gave us insight into how designers and engineers rely on model making. We also heard from longtime APMM member Bob Schneider who described the process of getting his pet project of a home brewing appliance produced through his employer Whirlpool Corporation. 2016 - Greenville, SC "Collaboration in Model Making"
Our first conference in the Greenville area took place March 11-14, 2016. We chose "Collaboration" as our catch-phrase and theme since so much of model making is the interface of Knowledge, Innovation, Technology and Resources. And as the profession advances, working with others and harnessing the power of our alliances and strategic partners becomes even more vital. Technical workshops topics included: 3D scanning, rapid prototyping, casting and molding, dust collection systems, and tips for the simple tricks of the trade. The business workshops were about project and cost management, the burgeoning Maker Movement, building a strong network for personal and professional development, as well as a few informal roundtables with notable model makers. We also continued the focus on careers, with portfolio tips, how to hire apprentices and interns, and the idea of the "reinventing model maker". Some of the most important vendor members presented product demonstration sessions that were useful and thought-provoking. Tours visited TTi/Ryobi, 3D Systems, VELUX, and the Clemson University ICAR campus. Our Keynote Speaker was former APMM President, longtime member, and recently-retired model maker Richard Coleman who talked about his own evolution in model making and how far the profession has come. Richard's insights and observations reflected on a changing industry with more changes and developments ahead. 2014 - San Jose, CA "We Know the Way"
Attendees celebrated the APMM's 18th gathering and 21st year as an organization with an exciting gathering from March 6 - 10, 2014. This year's theme centered on all the tools, skills, abilities, and practice that makes a model maker unique and the profession one of the most interesting in the world! Technical and business management workshops included: lighting and control panels in models, projects and workflow, negotiation skills, sessions on Arduino, Rapid Prototyping, and Makerspaces. Roundtables included 3D printer discussion and comparison, a look back to the historical challenges faced by model makers with past presidents (who are also active model makers) of the APMM's Board of Directors over the years. Career topics discussed how to get the most out of your APMM membership, and discussions of the various career pathways that longtime model makers followed. Vendor demonstrations featured: Silpak, Formech, Camera Graphics, Reynolds Advanced Materials, Universal Laser Systems/Avon Technology, and FormLabs. Tours went to Easton Bell Sports, Tesla Motors Factory, California College of the Arts, AutoDesk and Limelab PCH, Studio RED, Specialized Bicycle Components, IDEO, Stanford d.school and Stanford's Product Realization Lab. Our esteemed Keynote Speaker was none other than IDEO founder and guru of "Design Thinking" David Kelley. Mr. Kelley kept the attendees at attention with his expansive view of human-centered design and how to "tell the story". 2012 - Kansas City, MO "Growth & Opportunity"
The APMM's 17th gathering centered on Kansas City, Missouri, for our "Growth & Opportunity" conference on March 16 - 19, 2012. The conference was about increasing capabilities, expanding business and improving work life. Workshops offered were: models in miniature with renowned miniaturist William R. Robertson, RTV molding and casting, 3D printers, safety standards, old school model making techniques, marketing roundtable, designing shop spaces, apprenticeships and internships, and surviving an OSHA inspection. We toured Kansas University's Department of Visual Art - Metalsmithing and the Reuter Pipe Organ Company, Hallmark's Prototype Facility and the National World War I Museum, R&D Prototype's campus and the Toy & Miniature Museum @ University of Missouri, Kansas City, and Garmin International and Dimensional Innovations. Keynote speaker David Laverick of Garmin International brought a wealth of information, insight and inspiration as a pivotal figure in the history of Garmin and with a lifetime of accomplishment and innovation. 2010 - Boston, MA "Revolutions in Model Making"
The Hyatt Regency Cambridge Massachusetts was the location of the APMM's 16th conference, which was held for four days from March 26 - 29, 2010. Workshop topics included: material techniques for foam core, metals, painting/finishes and more; business topics covering collecting payments, managing a model shop, corporate trends and formulating the "perfect bid"; rapid prototyping, topographic models, 3D imaging, and personal fabricators. We discussed ethics in digital duplication and how to make internships work. Tours took us behind-the-scenes at DEKA Research & Development Corporation (Inventor and Entrepreneur Dean Kamen) and Manchester's SEE Science Center, Hasbro World Headquarters and Development Center and the Rhode Island School of Design, Continuum design house and Bose Corporation, and Harvard University Graduate School of Design, Boston City Scale Model, and the MIT Museum. Our keynote speaker was Neil Gershenfeld of MIT's Center for Bits and Atoms, the author of Fab, The Coming Revolution on your Desktop and When Things Start to Think. An innovator in digital fabrication and nanotechnology, Professor Gershenfeld's unique laboratory at MIT is breaking down boundaries between the digital and the physical worlds. Our 15th conference was held at the Doubletree Hotel Lloyd Center from March 7-10, 2008. Workshop topics at the APMM’s northwest region conference included: eco-friendly new materials, disposing of hazardous materials, crating and shipping, applying chrome finishes, special effects, balance and breathing, a visit from OSHA, increasing customer satisfaction, and 3D printing roundtable. Tours visited the Nike model shop and the Museum of Contemporary Craft, the adidas prototype facility and the Oregon Museum of Science and Industry’s exhibit production shop, and the Evergreen Aviation Museum including a tour of their restoration facility. A substantial group took advantage of Portland’s many brewpubs and took a Pub Crawl tour which included stops at many well-known pubs to sample their locally-brewed offerings. Others made use of the free downtown light rail to explore Portland’s eclectic and interesting downtown restaurants, museums, and – of course – Powell’s general and technical bookstores. Two keynote speakers talked about sustainability. Regina Hauser, the executive director of Oregon’s Natural Step Network spoke about sustainability efforts any organization can make following a progression of steps, and David Thorpe, creative director at Ziba Design spoke on how to naturally incorporate sustainability into the design process. More than a dozen vendors represented their products at the Industry Expo event and several presented workshops on using their products and services. The Grosvenor Resort Hotel, one of Disney’s chain of hotels, was the headquarters for the 14th conference, held on January 19-23, 2006. Workshop topics at the APMM’s first southeast region conference included: Rapid Technologies, New and Future Materials, Organization Techniques, the Business of Running a Model Shop, Quote Generation, Animated Models, Model Lighting Techniques, Career Insights with Student Portfolio Review, and Shop Safety. Tours visited the Disney Institute’s Behind-the-Scenes at DisneyWorld, the Kennedy Space Center, Mydea Technologies, and Ripley’s Believe-It-Or-Not Art Department. The Grosvenor Resort Hotel provided a professional and comfortable venue for our gathering and the close proximity to Disney’s Marketplace gave attendees access to numerous off-site gathering places. Keynote speaker David Barrington Holt gave perspective to the history of Model Making with a rare look at a varied and celebrated career. Barrington Holt served as the Jim Henson Creature Shop's Creative Supervisor on several productions from Dinosaurs in 1991 through Scooby-Doo and Stuart Little in 2002. He started at the Creature Shop as Mechanical Designer on The Bear in 1988 and developed many innovative mechanical and electrical animations. Many vendors of supplies, equipment and services represented their companies in the Industry Expo event. The APMM’s 13th conference took place at the Holiday Inn Select Hotel in Naperville from September 9-13, 2004. One highlight of the 2004 Conference was the proximity to Chicago, and the multitude of locations that were ideal for tours. The final list of tours included: Arrow, Argonne Laboratories, Packer Engineering, the Merchandise Mart, AllSteel, Herman Miller, the Field Museum, the International Manufacturing Technology Show (IMTS), Frank Lloyd Wright’s Studio, Millennium Park, the Illinois Institute of Technology, Herbst Lazar Bell, and the Murphy/Jahn studio. Keynote speaker Chris Conley (Professor and Director of the Product Design Graduate Program at IIT's Institute of Design in Chicago as well as a founding principal of Gravity Tank, Inc., his consulting firm) talked about why models are effective. He has demonstrated in collaboration with numerous companies how cross disciplinary teams communicate and embody information better when they come together and make crude prototypes of early ideas. This process dramatically increases the success rate for new products. As with past conferences, workshops were held on two days, and the Industry Expo brought out vendors supplying to the Model Making industry. Back to one of our most popular locations: Southern California! The 12th conference took place at the Westin SouthCoast Plaza Hotel on October 23-27, 2003. Tours included Oakley, Herbst Lazar Bell, Roland DGA, CTEK, Prototype Concepts, C&D Aerospace, Crown City Plating, Gentle Giant Studios, Walt Disney Imagineering, and Art Center College of Design. A highlight of the Industry Expo event was the belt sander races - two belt sanders, outfitted like race cars, are positioned on one end of the track and set in screeching, sanding motion at the same time to see which reaches the end of the track first. Noisy, messy, and lots of fun! This conference was held around Halloween so it took on a related “scary” theme, but in reality, brush fires raged a few miles away from the conference headquarters, showering ash on nearby Costa Mesa. Some attendees had trouble leaving town after the conference due to airport delays associated with the fires. The APMM’s 11th conference was held at the Hilton Hotel from September 20-23, 2002. 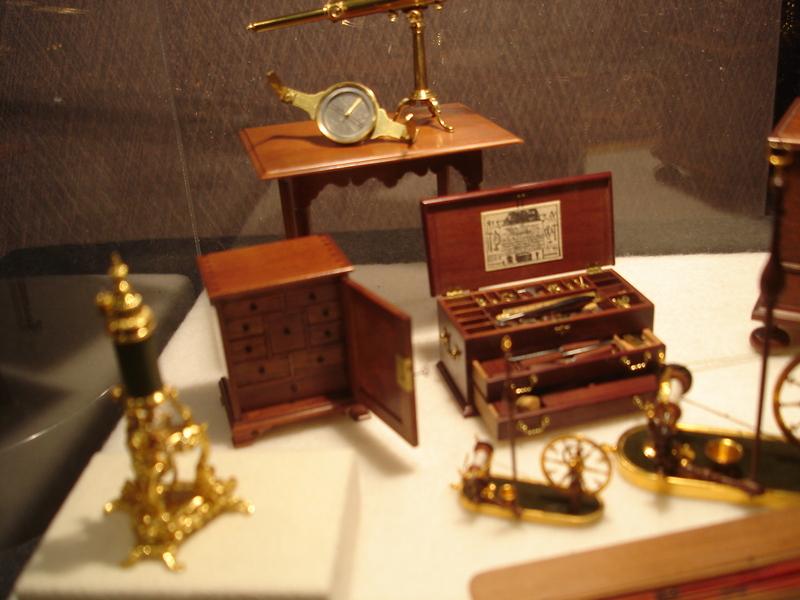 Maryland’s proximity to Washington DC and surrounding areas provided many opportunities for Model Makers to enjoy a full schedule of activities, workshops, and tours. Keynote Speaker Michael Headley, the director of the Smithsonian’s Office of Exhibits Central talked about his career and experiences as well as provided a glimpse into one of the most interesting collections of contemporary and ancient artifacts. Workshops included: CAD Modeling, CNC Machine Fixturing, Taxidermy Techniques, Crime Scene Reconstruction Models, the Use of Hand Tools, Acid Etching, Finishes, Industrial Clay Modeling, Metal Working, Lighting Techniques, Model Shop Management, Photography, Reverse Engineering, and Molding and Casting Techniques. Tour stops included: the Smithsonian Office of Exhibits Central, Black & Decker/DeWalt, the U.S. Army CAD/CAE Facility, and Direct Dimensions. The APMM’s 2001 Conference was the most challenging to date for the organization. As many attendees were en route to California, the tragic events of September 11th unfolded. Many travelers were stranded in airports across the country, some unable to get to California and worse yet – unable to return home. Fewer than 50% of attendees were able to get to Pasadena. The conference took place on September 14-17, 2001. Despite the trying times, and general feeling of disquiet among those who assembled at the Doubletree Hotel in Pasadena, conference organizers decided to continue with the event in the spirit of perseverance and in the interest of those who were able to be there. One highlight of the sometimes emotional event was John Brock, sales representative for Robert McNeel & Associates, performing “Amazing Grace” on his bagpipes, which he fortuitously, although unintentionally, had brought to the event. Many workshops had to be cancelled because presenters were unable to get to Pasadena with the airport shutdown resulting from the attacks. Tours to TRW Space and Electronics, Mattel, Gentle Giant Studios, Pacific Miniatures, Jet Propulsion Laboratories, the Art Center College of Design, CTEK, BJB Enterprises, and Walt Disney Imagineering continued, with heightened security. Model Makers convened at the Marriott Kingsgate Conference Center from September 7-10 in Cincinnati and some were lucky enough to get a tour of the Frank Gehry-designed Vontz Center for Molecular Studies adjacent to the hotel. They were also whisked away to “Germany” via the Mainstrasse Village Oktoberfest at the Riverfront. Workshops included Molding and Casting techniques, RP Technologies, Faux Finishes, Business Management, Rapid Tooling, Tips on Purchasing Vacuum Formers, Safety, Display Modeling, Clay Modeling, Laser Cutting, Benchmarking CAM Systems, Career Discussions, Metal Molding, Realistic Terrain and Landscape Modeling, Metal Fabrication, and Patents. Tours included: Procter & Gamble, Scott Models, Hasbro and Ethicon. Grand Rapids’ elegant Amway Grand Plaza Hotel is the location of the eighth conference on October 1-3, 1999. The APMM’s first northwest area conference takes place on July 24-28, 1998 at the Madison Renaissance Hotel in Seattle, where Cyndi Hoffpauer is appointed the new executive director. The first mid-year regional conference takes place on April 5-7, 1998 at the Driskill Hotel in Austin, and Richard Coleman of Coleman & Associates in Houston, TX is selected as president to take the torch from Kelly Hand. Later that year, Wendy Sommers steps down as executive director. Back to the West coast for the fifth conference, which is held at the Crown Plaza Hotel on June 14-17, 1997. Our fourth annual event is held at the Park Plaza Hotel in Boston on August 24-27, 1996. The Mark Plaza Hotel hosts the third annual conference from October 7-9, 1995. The APMM’s second annual conference was held at the Hilton Hotel from September 3-6, 1994. The APMM’s first conference took place at the Hotel Sofitel at Redwood Shores, with Kelly Hand as the organization’s first president and Wendy Sommers as executive director. Conference takes place October 3-5, 1993.